David is a freelance writer and the author of Metamorphosis, Surviving Brain Injury. In 2010, David was struck by a car while riding his bicycle. In brutally honest detail, David’s 2012 memoir chronicles the challenges he faced during the days and months immediately following his injury. David’s writing focuses on the importance of rebuilding a meaningful life after TBI. 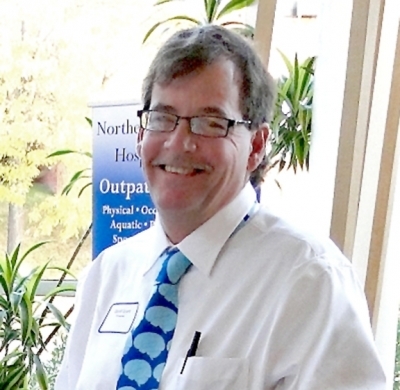 In addition to writing a regular column published by the Brain Injury Association of New Hampshire and contributing to Brain Injury Journey magazine, David has dedicated himself to advocacy on behalf of the brain injury community. He founded the Facebook page, TBI Hope & Inspiration, a vibrant and online community for both people living with brain injury and their caregivers. David is currently writing his second book, Daily Inspirations, Meditations for People with Traumatic Brain Injury & Those Who Love Them. The book offers David’s unique perspective on meditation for those living with TBI and is designed to help readers start each day with a positive thought. A New Englander by birth, David and his wife, Sarah, live in southern New Hampshire. Most of their eight children are now grown. Never one to slow down, David still averages 25 miles a day on his bicycle.